Sports babies, generally, are good. A replacement-level sports baby is still one who is adorable and funny and gloriously chubby-cheeked, and a sub-replacement-level sports baby is still probably going to make you aww at least once. But a truly great sports baby? 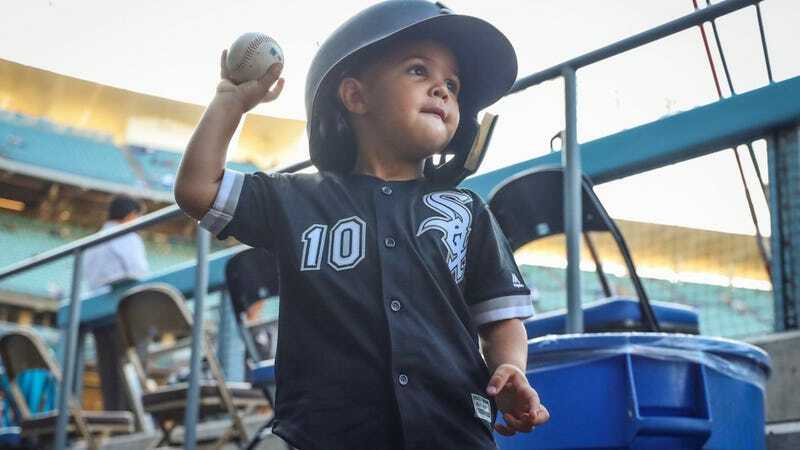 A truly great sports baby is on another level, and White Sox second baseman Yoan Moncada’s son Robinson is one such sports baby. Further evidence for his status as the best of the sports babies can be found in video of him imitating a Hawk Harrelson home run call or this photograph of him making a wish on a dandelion or, I suspect, literally everything he has ever done. (This bat flip!!) All hail the reigning king of the sports babies.